Watching some older Conrail videos I was amazed at how smooth and quiet these devices were. I don't know if they are called roadrailers, but in the hobby they're called rail mates. I remember seeing them frequently in the Greensburg PA area. Unless it was just coincidence, they were always going east. My questions are if they are still used today, and is there a downside using them? 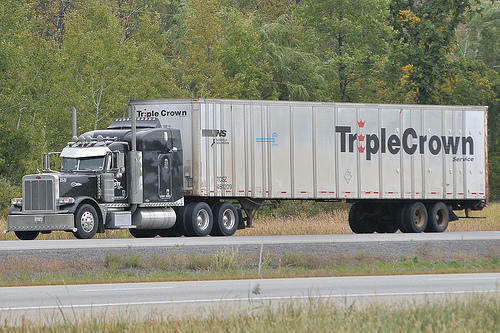 I've only seen Triple Crown Service truck trailers being hauled, unless that was also by coincidence. Thanks! Norfolk Southern closed down all but one of their RoadRailer corridors. The reasons include the age of the trailers and the lack of a builder for new ones or lack of enough business to justify building replacements. There may be a good reason you only ever saw them traveling in one direction. SCHEDULING! Back in about 2004, Triple Crown added service to the Twin Cities via Union Pacific. I always saw the eastbound train passing through my area, because it departed the local terminal around 6 PM. About an hour later, it was on the tracks a couple miles from my house, and I was often out driving, and had to stop for it. 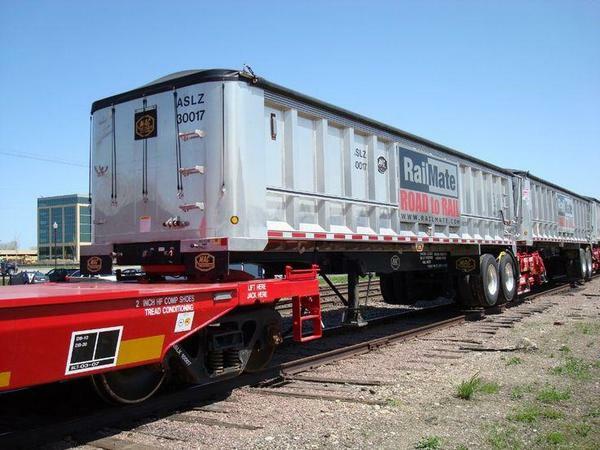 Conversely, the westbound came through in the wee hours of the morning, so the trailers could be delivered to customers that morning, after the train was broken down. If I wasn't asleep, I wasn't out of the house either. I never saw it, but sometimes I heard it. I do miss it now that it's gone. The K-Line ones are just OK. Bowser and later Weaver made some good scale models of the Roadrailers. 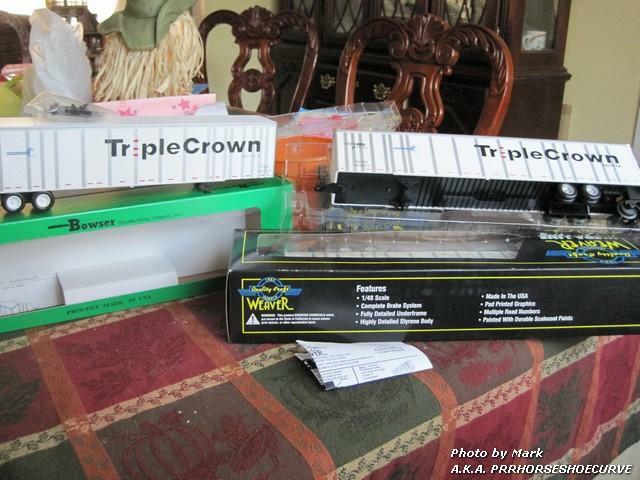 I have a Triple Crown train for my layout. One quirk I found with the Bowser Roadrailers is if you run a long set of them through a sectional 072 curve, the trucks all hit the rail joints at the same time, producing a very noticable change in the usual rail-joint cadence. I think there are times and places for RR. I am surprised Wabash National did not come up with a container version. Railroad came up with bogie and frame, trucker provided container. Any container could be used within the length of the frame. This would open up RR to a larger section of the transportation network. trucker provided container. Any container could be used within the length of the frame. This would open up RR to a larger section of the transportation network. 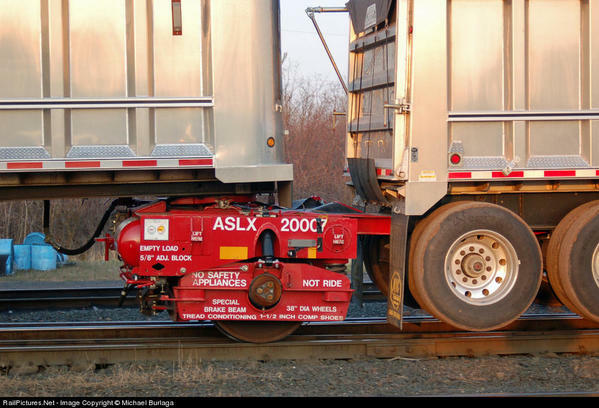 But just like placing a container on a 50-60' flat car, it wasn't cost effective. 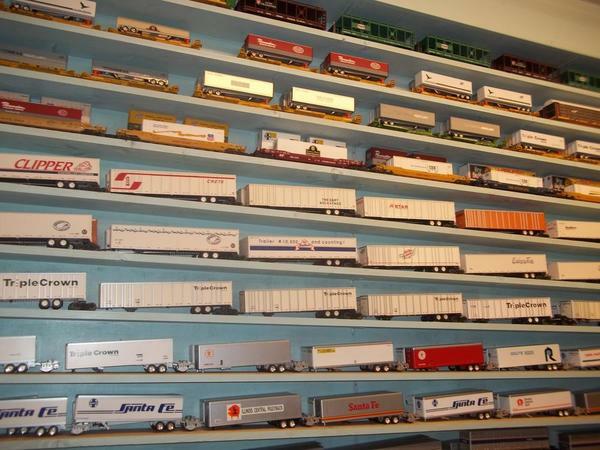 Doublestack container cars were coming out at the same time and that was way more cost effective for shippers and railroads across the board. I was thinking of the frame without the truck wheels. Containers would go from rail to truck frame by sideloader. Short fast trains built like Lego blocks. 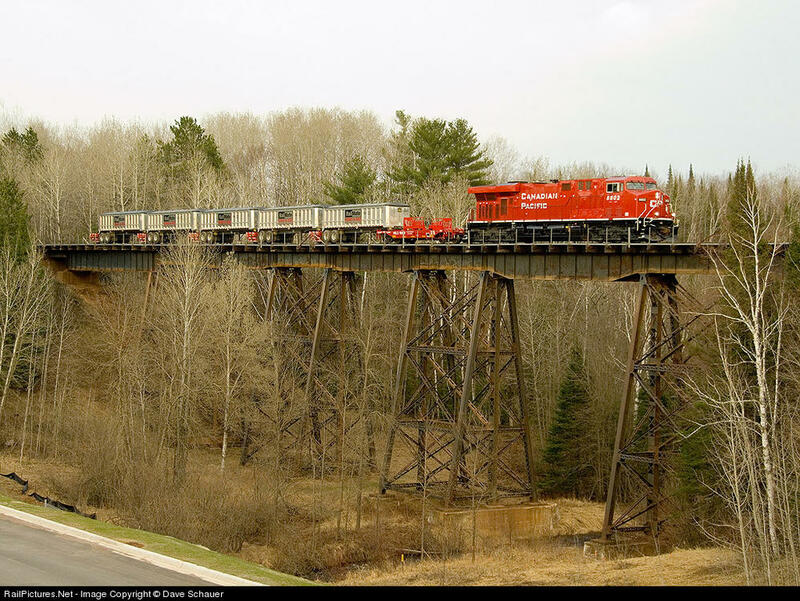 I worked for Triple Crown in the early 90's at Detroit (Oakwood yard) when the CP roadrailers started running to Toronto. I also rode on the Triple Crown train from Detroit - Toronto on a couple different occasions. It was a very cool experience! 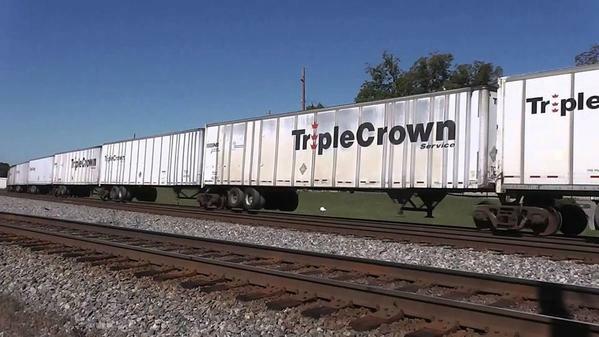 I don't recall Triple Crown running the Toledo-Cincinnati corridor. However, CSX briefly had the Xpressrailer service in the late 80's from Detroit-Atlanta using the Toledo-Cincinnati corridor enoute. Fort Wayne was the main hub for Triple Crown where the TC trains from other points would connect. The SB trains would then run from Fort Wayne-thru Cincinnati on to Atlanta and Jacksonville. 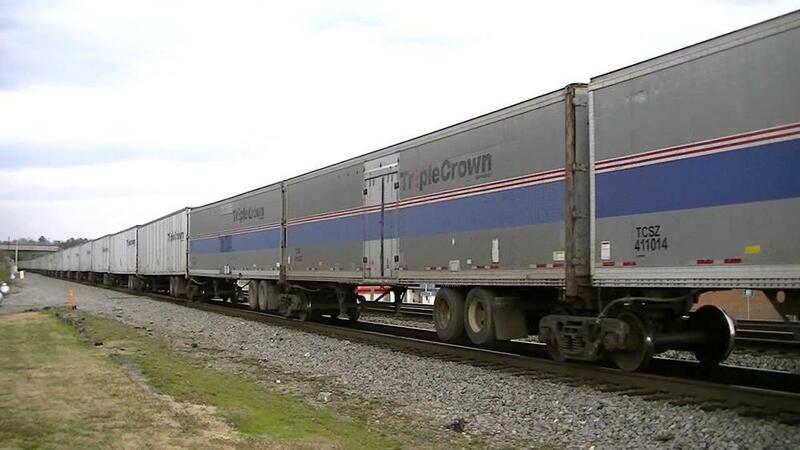 I honestly couldn't tell you what number of trailers would require a second engine, although, on one occasion, when I rode the Triple Crown train to Toronto, we picked up a second engine at Windsor. My buddy worked here in the Fort Wayne yard putting them together. 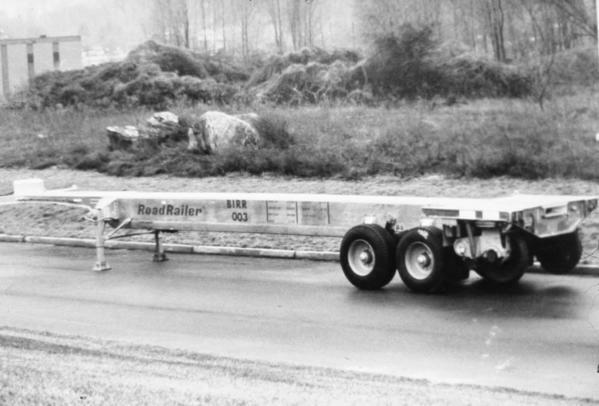 The max number of trailers with the Mark IV trailer I think was 75, when they went to the updated trailer with the separate bogey truck they went to max of 125, then later again the limit was 150. 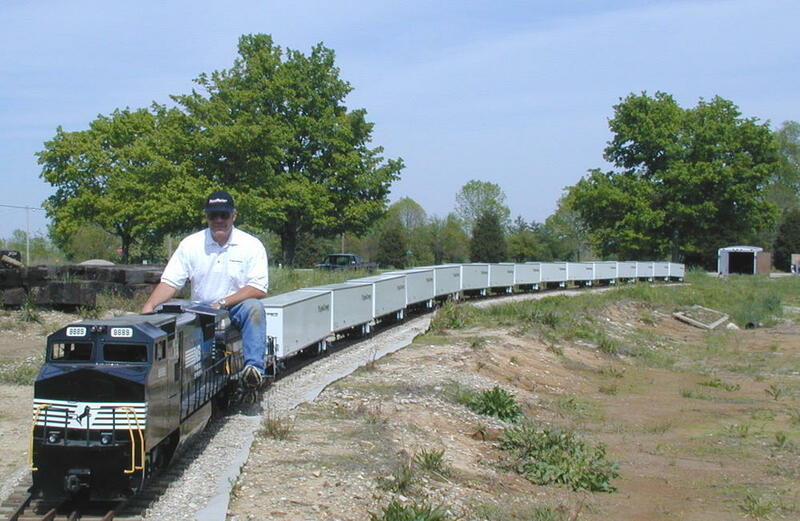 Engineers had said they pulled more like a passenger train with not much slack. They were quiet too, I used to work alongside the East Wayne yard in the '80s, and you would barely hear the RoadRailers go by.. I seem to remember a Road Railer Triple Crown yard on the outskirts of Sandusky, OH. I used to see it from Ohio Rt 2 on my way to Catawba Island. Our family had a Condo on the island and we would "vacation" there on the weekends. Sadly, I never thought to take any pictures or video. IIRC, it was a yard where the trains were made-up. Yes, the yard in Sandusky where you saw the Road Railers is the ex-PRR coal docks yard, which is still in use today. Along with the coal traffic, it is also used for interchange between NS Chicago line and Bellevue. 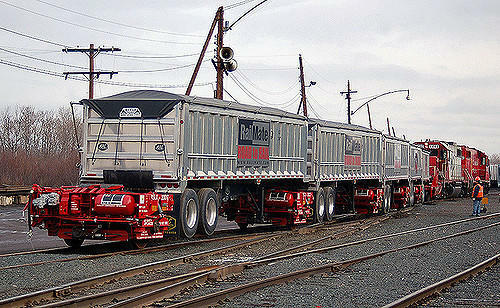 Until several years ago, there was a TC yard in Bethlehem, PA. I would often see the trains waiting for power next to the old Bethlehem Steel plant along the river. On a related note, Weaver owned the TC tooling when they shut down. Does anyone know who ended up with that tooling? I know for a fact it is NOT Bowser. Good question on who got the Weaver tooling. The obvious choices would be Lionel or Atlas based on where other Weaver tooling went. Bowser has completely left O scale to my knowledge. Is there just one set of tooling? Did Bowser use the same set? Then on to Weaver and now MIA? Since Atlas got the containers and has historically done a good deal of intermodal offerings, it would not be illogical to think they have it. Keep in mind that this is a prototype that is fast disappearing, and never was that ubiquitious to start with, which could explain why we aren't seeing any new offerings from this tooling. No real demand, and a good supply out there. Whoever has them will probably just sit on them until one day when they come out of hiding.